Yesterday we sat down with someone who is starting a new digital venture. As we discussed the potential, the market, the options and much more, it became apparent to us that there are a lot of things that applied to the physical book market, that simply do not apply, or should be questioned in the digital market. Walking blindly into the digital world assuming that all remains the same is in danger of establishing a set of urban myths that we have written about in the past but that continue to dog all our thinking and real digital opportunities. We would like to take the opportunity to offer a dozen points as to why we believe digital content is different. 1. Size - 256 pages and x thousand words were mere economic parameters that prevailed and mattered in the physical world. They become meaningless and irrelevant in the digital world. The author is free to write as little, or as much as they feel appropriate and that convey his story and that the consumer can digest. One would argue that small starts to become beautiful and large may be present a page turn too many. Short stories present a great digital opportunity, but may only happen if they are thought through economically and cost is taken out. After all many successful authors started their writing with short stories and articles. We still have still to adopt and adapt the Keitai model in the West, but if Dickens could write and sell by instalments why are we waiting for the finished tome? 2. Price – Some would suggest that prices must relate to the physical book and that any major price reduction on digital could cannibalise physical sales and the market. Some also suggest that digital is a huge investment and that the costs of the physical product are still incurred in the pre production and marketing activities. The problem is all too often this thinking is based on ebooks being just ‘another rendition’ and that each must stand economically on its own two feet. Why aren’t ebooks ‘given away ‘as aperitifs, lost leaders and to stimulate and drive physical sales? Why doesn’t digital content adopt simple price points like other media? Finally, digital content must be different as demonstrated by the differentiation given to it by the vast majority of governments. 3. Age - The consumer may want the ‘latest book’ but this is often driven by media and promotion. How many consumers do you see opening a book at the copyright page to check when it was published before they buy it? Amazon’s advanced search has a publication date field which is missing on The Book Depository, Waterstones and Blackwell’s who has a ‘published between two dates’ option. We may be thick, but we couldn’t even find an advanced search at Barnes and Noble or Kobo. The eWorld now has to compete with, not just the remaining books on the shelf, or in the store, but all books ever published. 4. Rights - When you buy an ebook, it may be literally just for Christmas! eBooks do not have a second life, no first sale doctrine and being able to lend them to friends. Therefore, to say they are merely just another rendition is like saying there is no difference between a taxi and a car, both get you from A to Z, both are driven by an engine but both are very different . 5. Media - Today we see books, music, film, games, being offered separately on some sites and collectively, as a one stop media shop on others. Dedicated media offers will work as long as they offer the consumer value, but when the vast majority of digital media is now supplied through white labelled channels this makes the one stop shop attractive. As some start to ‘enhance ebooks’ the synergy between media sectors could further erode and the one stop shop appear even more compelling. As we have seen it isn’t difficult for supermarkets, associations or in fact anyone to sell white label stock off their brand with no inventory cost. 6. Taste – It used to be said that you could judge a person but the books on their bookshelf. However, when their collection is no longer visible, no judgement is possible. Some would advocate that this merely flips into a social network opportunity, where readers share their book experience, favourite reads and what they have bought. However, we would suggest that this is a different and ignoring the hype has still to be proven between strangers. 7. Device – The ebook evolution was born out of a combination of digital content and reading devices both being widely available. Today we have now passed that stage and replaced the device with a device agnostic platform. Importantly mobile devices have not stood still and we now have smart phones with sufficient power, Amoled screens, apps and broadband connectivity to challenge ereaders, games machines, laptops, and even the emerging tablet itself. Multi media devices have arrived to your hand and technology is going only one way – smaller, cheaper and smarter. We would suggest that the ereader device is fast becoming irrelevant. 8. Leadership – The largest players always dictated the game and the book market has been no different. Amazon has established itself as the largest driver and influencer in the market today and will be for some years and the largest retailers are no longer defined by square footage or constrained physically. Will tomorrows leading retailer be that with the best mailing list and management? As the retail internet offers become somewhat indistinguishable does this open the door for smaller specialists and innovators to survive and thrive? We also assumed the largest publishers will drive the market but is this a given? Will again the innovative and agile score over those who will find it hard to tack and change course in what will be choppy seas? 9. Re reading the novel - People often say that they re read their favourite books and its true, but they often do this after a long period of time. Guess what, the ebook format, device, technology may have changed by the time you get round to re reading it! It may be like going back to cassette, vinyl and eight track. 10. Metadata – We used to cringe when the dreaded ‘m’word was raised and often found ourselves in the uncomfortable position of having to use a word which itself was an instant turn off. Great strides have been made to rationalise the communication between trading partners and improve the physical supply chain and standards and metadata where pivotal to this. However, when you have all the content digitalised and the associated material and information is fully indexed the game starts to change. Some 80% of what you need to know about the book is retrievable from the digital content itself and some other information exists in real time. This must change how we communicate and what we communicate as we move from a transactional and physical supply chain to one that is driven by media content and social interaction. The library world has finally accepted that the old MARC record is past its sell by date and maybe it will be followed by others we regard as essential today. We now have to radically rethink information, access and retrieval and equally who is best to lead us through this revolution. 11. Rental and the public Library - We strongly believe that ebook sales are going to move from downloads as we know them today to online and cloud based rentals. Netflix, Last FM, Pandora and our favourite Spotify are among those leading the way. Many may see this as a huge threat but is this real or more based on the challenge it poses to the existing business model . 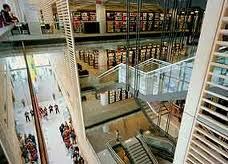 We have written much on this radical change and on the redefinition of the library tomorrow. Some may resist the move to online and rental, but it will happen and it may well not be a top down driven but a bottom up revolution. 12. 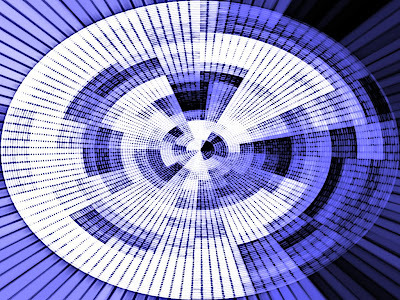 External agents –5 years ago, when we wrote the Brave New World report, we recognised that the digital world was going to be heavily shaped, not from inside but from the outside. Today we have all seen the impact that the likes of Amazon, Apple, Google and others continue to have on the market and the evolution of digital publishing. These new entrants have bothered to invest in the physical channel and when some suggest that they should acquire Borders, B&N etc the answer is obvious and negative. There are many thoughts we all have as to how the market will evolve. It is important that we start to see digital content as different and free it from the physical book spine that will continue to choke it. We handed in our old and trusty HTC Hero Android last week which now some two years on is showing its age. We looked hard at what was on offer from operating systems, hardware and networks and choose not to wait for Ice cream sandwich and choose the Samsung Galaxy S 2 running gingerbread. It isn’t until you actually get your hands on the latest Samsung technology that you appreciate the real threat they pose to Apple today. In just a handful of days, iPhone users who have seen my smartphone have been taken aback and old iPhone users are clearly jealous. The thing that won it over the other Android for us was the quality and size of the AMOLED screen and its lightness and thin profile. The thing that won it over the iPhone was the growing position and offer of Android. We didn’t consider the others as serious contenders. Samsung also offers the tight integration of many apps and superb communications. It even came preloaded with the majority of apps and social services we use including BBC iPlayer which is as good as watching TV and of course for us free Sykpe, GTM app and much more. Samsung is now locked in patent wars in some 10 countries with Apple and its isn’t the one way traffic some would have you believe. Samsung is trying to even ban sales of Apple's latest iPhone on alleged patent infringements in Australia, Japan, France and Italy. Apple has preliminary injunctions against some Samsung products in Australia, Germany and the Netherlands, and is trying block US sales of some Samsung models. Samsung has also appealed against an Australian court's decision to block the sale of Samsung's Galaxy Tab 10.1 tablet and a full court hearing is scheduled for later this month. The battle is not just about phone patents but also tablet ones too as these two giants tussle for what is a huge global market. To top it all and little know to many, is the fact that even Apple buys chips and displays from the South Korean giant! We now have the smartphone market growing by some 42% year-on-year in the third quarter and shipping some 115.2m units. Smartphones continue to not only outsell PCs, but the gap is growing. In just three years since its launch Android now powers 52.5% of handsets shipped, which is staggering, given this was just 25.3% only a year ago. Samsung claims to have shipped more smartphones in the third quarter of 2011 than any other company. The Android genie is definitely not going away and Samsung still has others such as Motorola, LG, HTC all pushing the Android envelope. Is Apple concerned – well yes, according to the recent Steve Jobs biography. Apple’s market share has dropped from 16.6% in the third quarter of 2010 to 15% in 2011 and even though its sales rose from 13.4m to 17.3m, this fell short of Samsung’s 24m. It’s no wonder Apple wanted to put the Australian case hearing put back till next August, but the judge has set a date on March and feels August is simply too far away. So we come back to our decision and what we have in our hands today. When I demoed it to someone yesterday they summed it up perfectly by saying I had a true mobile that offered everything and can make calls as well! Why bother with a tablet you can’t slip into your pocket and are tablets really the answer or just a fad? Today we have two different stories which by themselves are newsworthy. Together these demonstrate that the booktrade is not in full control of its own destiny and that changes can happen from outside that will change what is developed, sold and how it is sold. Firstly, we have long believed that ebook sales are going to move from downloads as we know them today to online cloud based rentals. They are many who see this as a huge threat, whilst there others like ourselves, who see it as a huge opportunity. However, can such a change be controlled by the existing big players, or will we see a shift in market power driven by consumer demand, in the same way that Nasper, iTunes, Pandora and Spotify have changed music and YouTibe and Netflix video? Verdict Research claims that consumers are spending 21% less on films, video games and music than they were in 2008, down from £7.7 billion to £6.1 billion. It would appear that they prefer free services such as YouTube, Spotify , BBC’s iPlayer and the mass of free app downloads for mobiles, over traditional home entertainment. The current economic downturn is also obviously fuelling the trend. So is the move towards an increased demand for ‘free’ in other media sectors a blip, or a real trend and will books be different? Secondly, the current economic turmoil in Europe is significant and is now in danger of engulfing major countries such as Italy, Spain and according to the ex UK PM Gordon Brown, even France. Austerity has a funny way of driving both consumer habits on spending and government measures on taxation. What we assume is safe can become unsafe overnight and only a fool would believe that books are and will always be viewed as different. The French government has announced that VAT rate on books will rise from the current 5.5% to 7% from 1st January. This is still a reduced rate compared to the standard rate of VAT in France of 19.6% but is a clear sign that in times of austerity the gloves come off when governments have to reduce public debt. We all are acutely aware of the disparity on VAT between EU states and also of the tax disparity between physical and digital renditions. We should not assume that this will remain as is in difficult times and that any harmonisation has to be to the lowest common denominator. So we see consumer consumption changing in other media sectors and taxation changes being taken to reign in state debt. We can’t assume tomorrow will be the same as today and that we have full control over our destiny. In a move clearly aimed at the international market KOBO has been acquired by Japanese e-commerce company Rakuten for a reported $315 million in cash. The ebook world todate has been very US driven, but this could change as all the major players now vie for the other markets where they all wish to be number one. 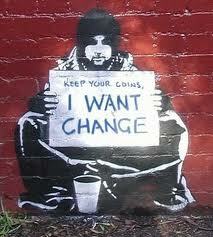 This change is both inevitable and significant and will squeeze those who do not have the reach or the commitment. Founded in 2009, Kobo has grown from its roots in Indigo into a formidable eReaders platform and broken out of its Canadian roots to move internationally with partnership arrangements first with the ill fated Borders in the US and more recently with Fnac in France and WHSmiths in the UK. It is widely regarded as the strong outsider in the market behind Amazon, Google and Apple and in the uS Barnes and Noble. Kobo claim 5.6 million reader worldwide. Kobo claim that the company will maintain its headquarters, management team and employees and will continue to be run from Toronto and see the acquisition as an enabler which will allow with them to grow faster and complete internationally. Rajuten has been buying up ecommerce companies and spending heavily. In 2010 they bought French e-commerce company PriceMinister and German online shopping mall, Tradoria. In 2011 they bought e-commerce companies Ikeda (Brazil), Buy.com and Play.com. Rajuten is now one of the top global e-commerce companies by revenue and is clearly building an end to end platform which not only services the consumer but also manages important media content, giving it both higher margins and tighter control over media. This move should open up significant global opportunities for Kobo in markets that they would have struggled to penetrate alone. It does however raise questions on how Barnes and Noble will break out of the US and what options are left for chains such as Waterstones in the UK. Technology is not only changing how we do business and is introducing a significant challenge in reducing the time to do business. As technology speeds up processes it also highlights those age old time blockages and inefficiencies that didn’t matter, or could not be addressed yesterday. Technology now enables us need to look afresh at the end to end business and consider how we can do things quicker and smarter. Today when we look at publishing, we often see a market littered with ‘gatekeeper’ checkpoints. These barriers were not only aimed at introducing quality control, reducing the flow of traffic and they also often to slowed down the process itself. Manuscript submissions, acquisitions, development and production can take months if not years. There may appear to be perfectly good reasons why it should be as slow as it is, but it is now clearly restrained by people rather than technology. The way works are also marketed, promoted and sold, could be said by some to belong to a bygone age that was more obsessed with feeding the shelf, events and calendars and those 13 week windows, than satisfying today’s real time world of instant gratification. However, like many markets, we are obsessed with the consumer end. After all, the consumer is the only one that puts money is and despite what some marketers think, is the only one who decides the true winners. When we look at the end to end process we often view it as not one marketplace but a series of linked marketplaces each with their own gatekeepers, fiefdoms and find that they are often overly protected from each other. Despite the huge advances and improvements to Supply Chain communications, some what suggest that we still do business by ‘slipping notes to each other under the door’. What if we could tear up today’s processes and redefine the role of the gatekeepers? What if we could view the business as one end to end marketplace? What if Michael Porter’s linear Value Chain model was a virtuous circle with no start and end? What if we viewed the business as one integrated marketplace with content and associated rights at its core and the players and activities being just that and periphery to that core. More importantly, what if we recognised that all players could effectively participate at any time? Imagine consumers being able to access and comment on manuscripts alongside agents, publishers and retailers, some will say its already happening. Imagine living bibliographic records being managed as ’wiki’ records where they are developed not so much in a vacuum but as crowdsourced documents that never stop being updated, appended to and refined. Imagine the elusive rights registry being open to all. An inclusive ‘book’ marketplace perspective could change not only how we do business, the speed in which we do business but the relationships within the business? It could remove some of the adversarial and holier than thou attitudes that continue to dog the industry. It could create a new level of interest and participation that is more organic and spontaneous than today’s often ‘manufactured’ approach. This holistic marketplace may appear unfamiliar, dangerous, exciting and to some a bridge too far, but it is the direction that technology, social networking and networks are clearly taking us today. We don’t fully understand the implications on today’s roles, processes and business and the route is somewhat dynamic and unpredictable but it is happening and the genie is not going back in the bottle. The key is to see one holistic marketplace. When we look at the likes of Amazon, Kobo and others we see businesses uncluttered with yesterday’s thinking and ready to redefine how we do business tomorrow not just at the consumer end but within the new virtuous circle of value. Today we have two separate but interlinked news articles on libraries. 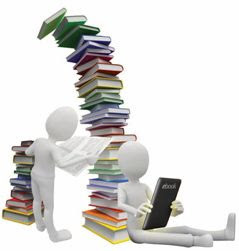 Declining spend, visits, issues, stock, staff numbers would all send out alarm bells to most businesses let alone libraries today and the news that the biggest industry player has now launched its own ebook lending library would certainly heighten the alarm bells. First, despite the high profile activity to save UK public libraries, we have a report from the UK Chartered Institute of Public Finance and Accountancy (CIPFA) that states a 2.3% drop in spending across the service of from £1.19bn to £1.16bn. Book acquisition drops included; adult non-fiction, down 13.7% to 2.36m, Adult fiction down 7.4% to 4.58m, children's fiction down 7% to 2.92m and children's non-fiction down 5% to 659,000. The total book stock held by libraries also dropped from 99.2m to 98.3m and the number of libraries also dropped from 4,612 to 4,579. The decline also hit the number of overall visits to libraries which dropped 2.3% to 314.5m and book issued, down 2.9% to 300.2m and even the number of web visits to libraries, which had risen sharply over the previous four years, dropped from 120.4m to 114.8m. The CIPFA report also stated that the total number of volunteers in UK libraries had risen by 22.3% to 21,462 people whilst the number of library staff had dropped by 4.3% to 23,681 over the same period. As we face the digital challenge with declining spend, visits, issues, stock, staff numbers we have to ask whether public libraries as we know them today are sustainable. Secondly, we have the launch of Amazon’s Kindle Owners' Lending Library, which allows ebooks to be borrowed by US Prime members and read on all Kindle E Ink and Fire devices. Prime began as a membership offer for package-shipping benefits and costs $79 per annum and has now added video-streaming with some 13,000 movies and TV shows to members as well as ebook lending. Prime members will only be able to borrow one book out at a time for up to a month and any Notes, highlights and bookmarks made will be saved even when they return the book. When they want to borrow a new book the old book is effectively removed. In September Amazon entered in agreement with Overdrive to make Kindle titles available to libraries and already libraries claim that the impact of this has been significant in the US. 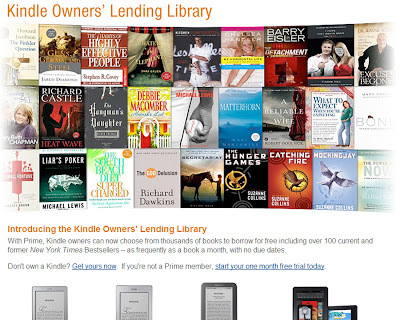 Amazon claims that Kindle Owners' Lending Library will offer "thousands of books to borrow", but today these will exclude titles from the major trade houses, who have refused to join. Amazon appears to have reached a fixed fee agreement with other publishers and is claimed in some cases to be purchasing a title each time it is borrowed by a reader. Some would suggest that to grow the service in the short term Amazon doesn’t need the major Trade Houses and if like everything else they have pioneered they get it right the major Trade House will need them or an alternative in the long term. Libraries serve communities and promote reading, learning and have been at the heart of society over the years. However as public libraries come under increasing fiscal squeeze their current business model may also come under increasing pressure. The amazing metadata map above is simply called Seeing Standards: A Visualisation of the Metadata Universe and is truly mind-blowing and a tribute to the creator Jenn Riley. It demonstrates not only the vast range of standards, the communities they serve, their purpose,function and domain. Metadata is the data that describes data. We often refer to it as bibliographic data and it is the information that enables us the search, find, retrieve the appropriate information and allows us to talk to each other through a common language. The book world is widely adopting ONIX which originated from the music industry in the 90s, whilst the library world with its more complex requirements has retained its MARC records. However, it would appear that time is being called on the MARC record. The Library of Congress is now being asked to take action by two expert groups with the aim of funding the work to create a new bibliographic framework that will serve a wide range of associated library communities well into the future. In the late 1960s, early 1970s, the Library community created the MARC21 standard. At the time was a giant step forward and enabled libraries to share machine readable bibliographic data and also to reduce the cost and effort of cataloguing. The MARC standard has been a huge success and is responsible for the global creation of millions of bibliographic records. The structure was approved as a National Information Standards Organization (NISO) (Z39.2) and the International Organization for Standardization (ISO) (2709) standard, which helped establish it as the standard used by libraries. It also was used to describe other material, such as serials, sound recordings, still and moving images, maps, archival material, computer software, digital resources etc. Today there are over a billion MARC 21 compatible records. This call for change is echoed from tests of the Resource Description and Access (RDA) conducted by the National Agricultural Library, the National Library of Medicine, and the Library of Congress. So when we read the statement from the Library of Congress we find ourselves drowning is a sea of acronyms and names. We are familiar with some we have no clue about others. So we are lucky to have been pointed to work that Jenn Riley has done which could be described as a ‘dummies guide’ to standards and their relationships, which we highly recommend and share links to below. What would bring representatives from over 60 nations to London to a special two day conference this week? The representatives include EU digital supremo, Neelie Kroes, Baroness Neville-Jones, Wikipedia founder Jimmy Wales, UK Foreign Secretary William Hague, Cisco vice-president Brad Boston, Senior Executive at Facebook Joanna Shields and until issues forced her to cancel even US Secretary of State Hillary Clinton had been due to attend. 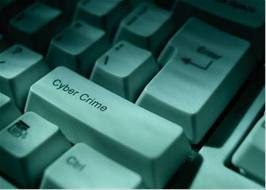 In a world where literally everything is now online, cybercrime, which is now estimated to cost worldwide some £600bn a year, is increasingly becoming a big issue. This year has seen some very high profile attacks; Nintendo, Sony Pictures, Sony Europe, 10,000 Iranian government e-mails stolen by Anonymous, Defence group L-3, Google Gmail, Honda Canada, Lockheed Martin, Sony Music Japan, Nasa etc. It is not just large multi-national companies who get hacked, or their intellectual property stolen, but also individuals who can have had their personal information stolen and pasted all over the internet. Today, we read that security company Symantec claim that from July until September some 29 companies in the chemicals industry, which included Fortune 100 companies, were the target of cyber-attacks and a further 19 companies, including defence specialists, had also been affected. The incidents are being linked to earlier attacks on carmakers and human rights organisations. Iain Lobban, the head of GCHQ, claims that a "significant" attempted attack was made on the Foreign Office and other government departments over the summer. Ross Anderson, professor of security engineering at Cambridge University, claims that as many as 5% of PCs are infected with malware and there was a one in 20 risk that any given computer was sending spam without the owner's knowledge. Its hardly surprising that hacking is on the increase with Attack Tool Kits (ATKs), which programs designed to exploit website security, being widely available on the internet. Rik Ferguson, senior security researcher at Trend Micro says of today’s hackers that they can be, "both black or white hat (or sometimes grey) depending on their motivation." 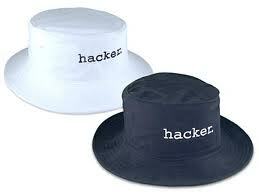 In hackerworld, white hats are the good guys, black hats the criminals. A popular practice is to simply deface websites with a message similar to the graffiti that adorns our cityscapes today. Zone-H, a website which monitors such activity, claim over 1.5 million defacements were logged in 2010. Not only is the Internet a force for good and changing how and what we do, it is also reshaping and redefining crime against states, companies, property and individuals. UK Foreign Secretary, Mr Hague, stated that, "The response does not lie in the hands of any one government or country but it is too important to be left to chance. This needs to be a collective endeavour, involving all those who have a stake in cyberspace.’ The UK government has also put aside some £650m of additional funding to help tackle computer-based threats over the next four years. We hope that the ‘London Agenda’ can make progress and help define a new safer Internet road. We all thought that Google Street was taking mapping to a new level when you could actually ‘walk’ down the street and see the sights as if you were actually there, but Google has now taken the experience to a new level and has started a pilot project which will take you behind the shop door! The new project is completely on a voluntary and Google’s Street View has already gone behind the doors of some 17 museums. Initially the project is being limited to locations including London, Paris and some cities in Japan, Australia, New Zealand and the US. It is based on inviting the most searched types of businesses to be captured from the inside on camera. This group includes restaurants, hotels, shops, gyms and repair workshops, but interestingly today it excludes big-brand chains and community services such as Hospitals and solicitors. In addition to the 360-degree fish eye and wide-angle lens shots the businesses that participate are also invited to upload their own pictures. All images will become Google’s property that may be used in other Google applications. So if you own a bookshop would you participate or watch your competitors get that extra lift? 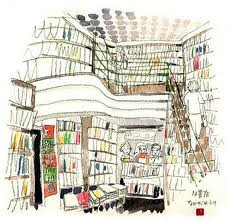 Will Google make it a no brainer for those bookshops that sign up for Google? Will they exclude bookchains and enable the little independent to be exposed? The interesting challenge is whether business see this as an intrusion, a marketing tool, or merely something they must now do in order to compete?